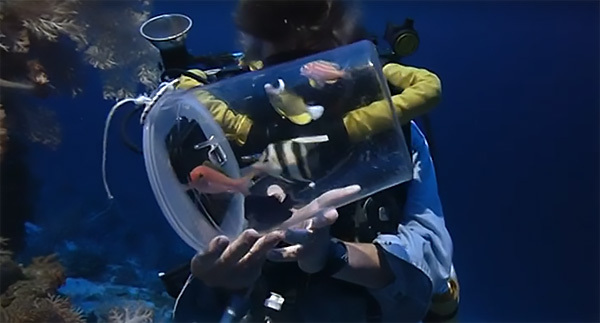 A still taken from the BBC’s Pacific Abyss footage, where Dr. Richard L. Pyle shows off a treasure trove of new and rarely-seen species, including the newly described Prognathodes geminus, collected while exploring the deep reefs of Palau in 2007. Scientists and explorers of the ocean’s twilight zone reefs have added to the world’s catalog of biodiversity with the new species description of a beautiful Butterflyfish from the genus Prognathodes. Named geminus, the Latin adjective for “twin,” Prognathodes geminus‘ doppelganger is P. basabei from the Hawaiian Islands, nearly an ocean away from Palau, where the new species was discovered. 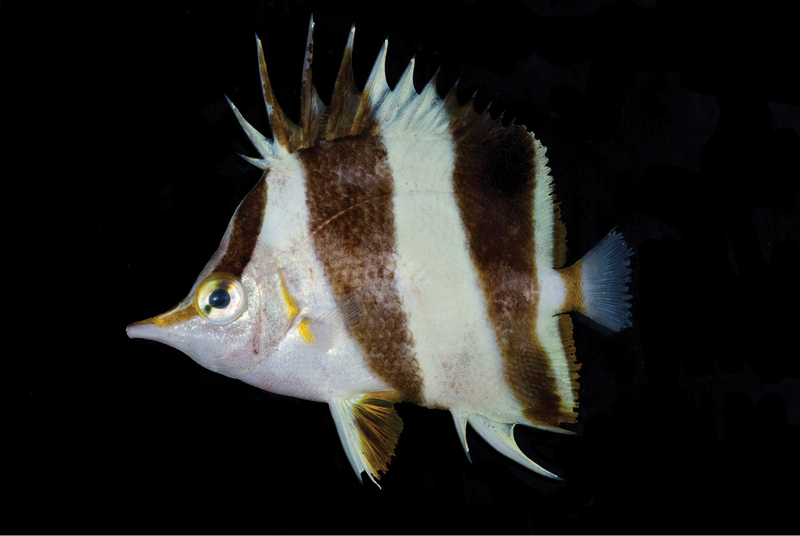 The new species was described in the paper Prognathodes geminus, a new species of butterflyfish (Teleostei, Chaetodontidae) from Palau, authored by Joshua M. Copus, Richard L. Pyle, Brian D. Greene, and John E. Randall, which was published today as an open-access article in the journal ZooKeys. P. geminus was first encountered in 2007, “while conducting a series of deep exploratory dives off Ngemelis Island, Palau (Republic of Belau) in the Caroline Islands. 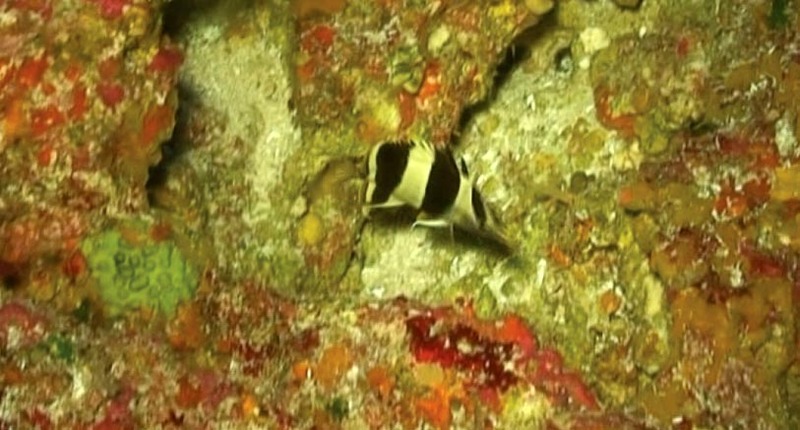 Authors Pyle and Greene collected two specimens of this unidentified Prognathodes at a depth of 116 m. The fish were encountered among a patch of limestone rubble at the base of a prominent limestone outcropping.” Subsequent observations suggest this species inhabits a depth range of 110 to 150 m (360-500 feet). For more images and insights on how “mixed-gas closed-circuit rebreather diving technology has revolutionized the exploration of the deeper depths of coral reef environments across the globe,” be sure to read the free, open-access article now! While you will likely never encounter this species (or most of its relatives) in the aquarium trade, they do rarely show up at great expense. The one commonly available and generally affordable member of the genus is the Caribbean Longnose or Rosy Butterflyfish, Prognathodes aculeatus, generally regarded as a moderately sturdy aquarium resident and only a semi-risky introduction to a reef aquarium.